Two Biodiesel workshops were held April 10th and 11th. Both were very well-attended and both industry experts and fleet users provided usable "Just the Facts" information for the attending fleets to consider implementing a program using America's fuel...B20 Biodiesel. Propane Autogas school buses have proven to be the most cost effective solution for reducing NOx, tailpipe emissions and the total cost of ownershipemissions, and total cost-of-ownership. EDTA has updated the plug-in vehicle (PEV) sales dashboard through December 2018. Last month showed the largest PEV sales (US Market) in history, totaling 49,900. This number consists of 12,674 plug-in hybrids and 37,226 battery EVs and reflects a 98 percent increase over PEV sales in December of last year. 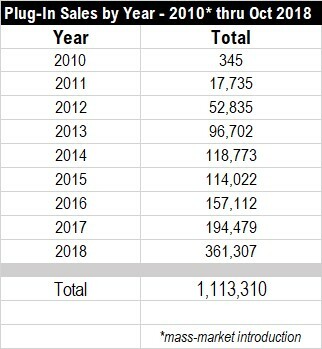 The total number of plug-in vehicles sold in 2018 was 361,307, an 86 percent increase over the 194,479 sold in 2017. The Alabama Department of Economic and Community Affairs (ADECA) today released the Volkswagen Environmental Mitigation Trust Beneficiary Mitigation Plan. A public hearing will be held on January 15, 2019 in the 7th floor auditorium at the Alabama Center for Commerce located at 401 Adams Avenue in Montgomery. I Plan to Attend the Draft VW Plan Public Hearing on January 15th? Your Input is Very Important! Please plan to attend the Public Hearing on January 15th if, after reading the Draft VW Mitigation Plan, you feel further input should be considered before the Plan is finalized and sent to the Governor for her signature. Your positive input is very important to the success of distributing $25.5 Million to entities in our State. The Alabama Clean Fuels Coalition is excited about the release of the Draft VW Mitigation Plan. Finalization of the Plan and release of requests for proposals will allow public and private entities in Alabama the opportunity to defray significant costs when replacing older (pre-2009)vehicles with newer, cleaner alternative fuel vehicles. Read the Draft Plan. Attend the Public Input meeting. Prepare your proposal ideas. Call us if we can be of assistance.